The Azure Striker Gunvolt: Striker Pack on Nintendo Switch is going to be the best way to play the 2D action series, but be sure to pack a Pro Controller with you. 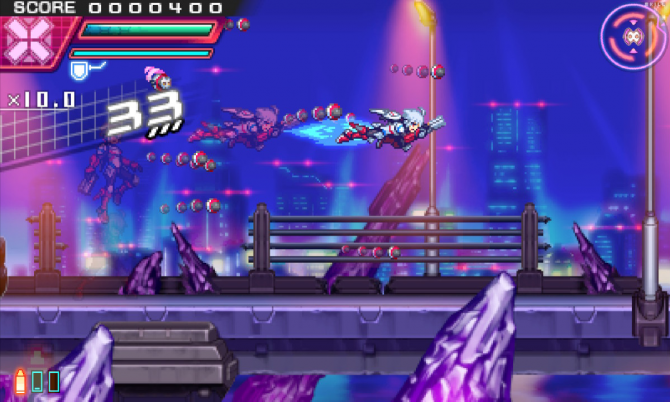 Since its debut in 2014, the Azure Striker Gunvolt series has catered to the 2D-action platforming audience. However, some might say that limiting the series to the 3DS and releasing an unpopular port of Azure Striker Gunvolt to PC has done the series a disservice when the console market begs for a good retro-action game. 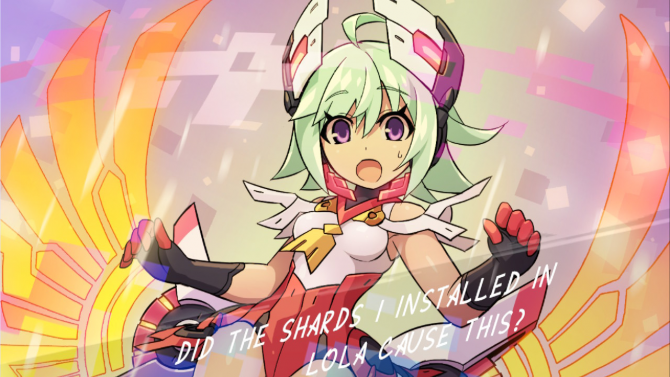 It seems Inti Creates has heard these demands and decidedly brought the Azure Striker Gunvolt: Striker Pack to Nintendo Switch, which includes both Azure Striker Gunvolt and Azure Striker Gunvolt 2. The two games play out exactly how returning players remember with some added visual upgrades and of course, the Nintendo Switch Pro Controller support. If you’d like to know more about the series, DualShockers reviewed Azure Striker Gunvolt 2 and gave it a favorable score. Even though Azure Striker Gunvolt released on PC — which definitely should be played using a controller because this is not a game optimized for keyboards — Azure Striker Gunvolt 2 has been held hostage on the 3DS as a handheld exclusive since its launch in 2016. Don’t get me wrong, the game is one of my favorite action titles on the 3DS: but after a couple hours of hovering over the handheld not only would my eyes strain, but my hands would need a break from the quick reflex button presses that Gunvolt 2 demands. That said, Azure Striker Gunvolt 2 on Switch fixes any gripes I once had with the 3DS version and exceeds my expectations for a re-released game. Most importantly, Gunvolt 2 needs to be played using a Pro Controller. Although it can be played in handheld mode using the Joy-Con, the game’s fast action and demanding button inputs are not suited for the tiny controllers. Using the Pro Controllers changed my overall experience while playing through Gunvolt 2. It ultimately seemed like I was making less mistakes due to missed button presses while controlling Gunvolt or Cope, as each campaign is full of areas that require these quick actions from the player while going up against multiple enemies. 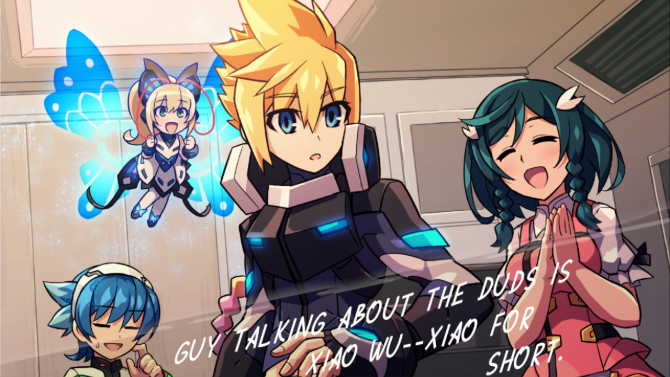 For those who don’t know, Azure Striker Gunvolt is a side-scrolling 2D action platforming series starring a character named Gunvolt who turns rogue after receiving a mission that he couldn’t complete. 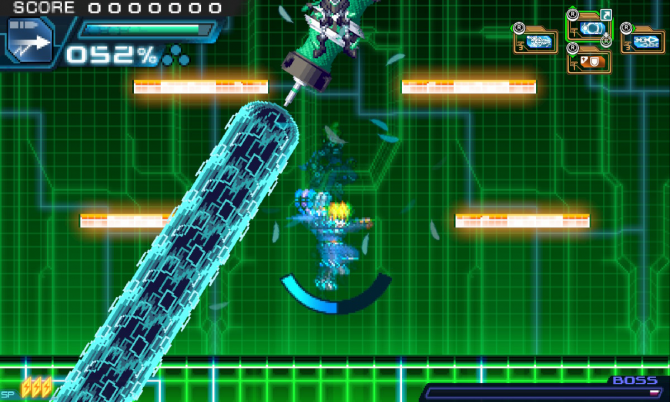 The game has a “tag” mechanic where Gunvolt can shoot multiple enemies, and then use an electric attack to destroy the tagged enemies. 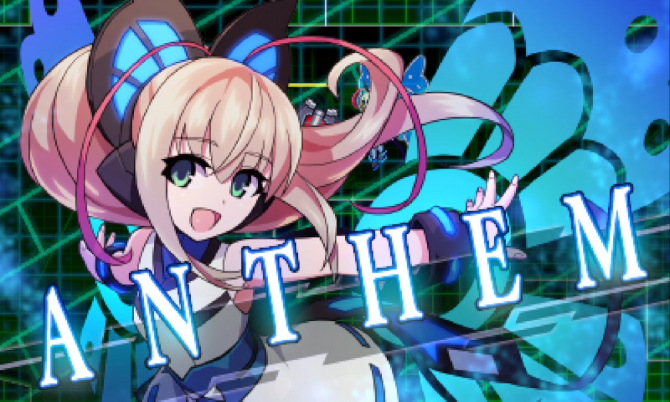 Azure Striker Gunvolt 2 added a more fine-tuned battle system and a new playable character told through a brand new campaign. 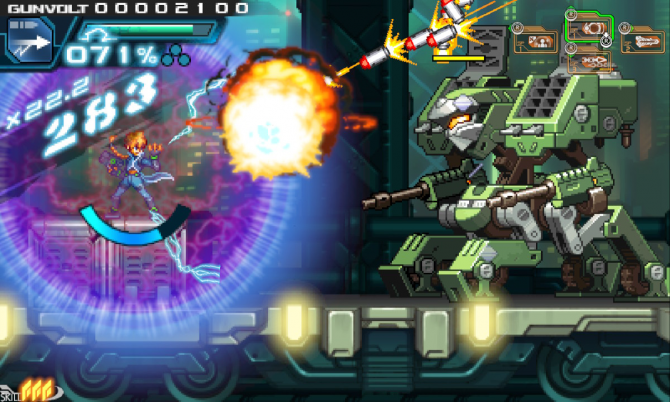 Now, bringing Azure Striker Gunvolt: Striker Pack to the Nintendo Switch was not just a simple port like the PC release of Gunvolt: the Switch version improves the series in several noticeable areas. On the Switch, Azure Striker Gunvolt now runs at 60fps, which is more noticeable when quickly going through the levels. I recommend playing as Copen in Gunvolt 2 to clearly see and feel the difference. Additionally, the screen has been reworked to support HD displays, which includes high-res illustrations during story scenes. To put it simply, Gunvolt has never looked better and I was impressed by the amount of work that the developers put into the Switch version. If there were any missed opportunities when bringing the Striker Pack to Nintendo Switch, it would be leaving out the Azure Striker Gunvolt OVA that launched on the 3DS eShop. I would have loved seeing that included in this release. However, the Japanese physical release of the game did include a DVD version of the OVA. If you weren’t a fan of the Gunvolt series as they released on the 3DS, then you probably won’t be a fan of them now just because they released on the Switch. The games are strictly for those who enjoy or have an open mind for these types of retro side-scrolling games, reminiscent of the Mega Man Zero series. The two games are very similar in play style and don’t differentiate themselves nearly as much as they should. 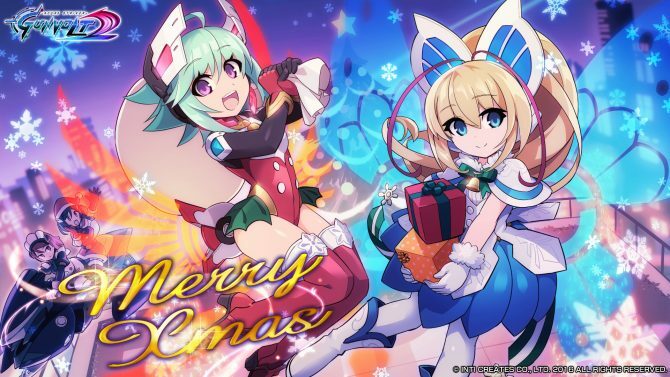 However, with the added campaign of Copen in Azure Striker Gunvolt 2, players can play through the campaign in a totally different way then they ever could as Gunvolt. Additionally, all DLC released for the original title is also included in the Striker Pack. Coming from a huge fan of this series, Azure Striker Gunvolt has never felt better than playing it on Nintendo Switch. The updates put into the display and frame rate give fans a reason to replay the game with upgraded performance, while at the same time bringing the two previously released titles up to graphical modern standards. 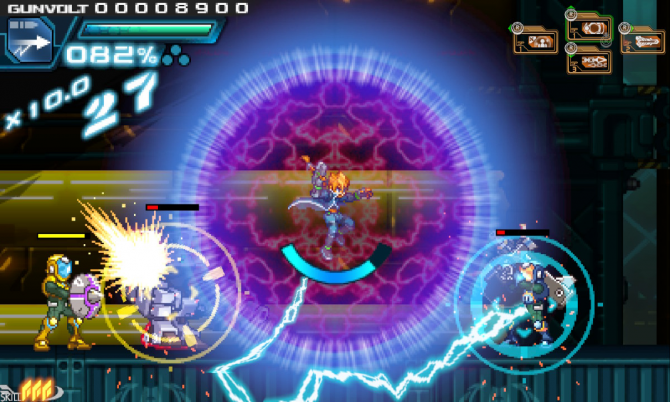 The Azure Striker Gunvolt series is unique, fast, and easy to jump into. Plaything the game using a Pro Controller on Switch definitely allows the player to get the most out of the experience. As I mentioned before, the game is playable while using the Joy-Con, but the position of the buttons take some getting used to during the high-action scenes. If you are interested in the Azure Striker Gunvolt series, the Switch is going to be the best way to play through through it. But if you’ve played the series before, this version of the game will only satisfy your craving to replay the 2D-action titles with better visuals and performance. The Azure Striker Gunvolt: Striker Pack is available now for Nintendo Switch and 3DS digitally. A physical version for Nintendo 3DS is available now, while a physical version for Switch will arrive in October. 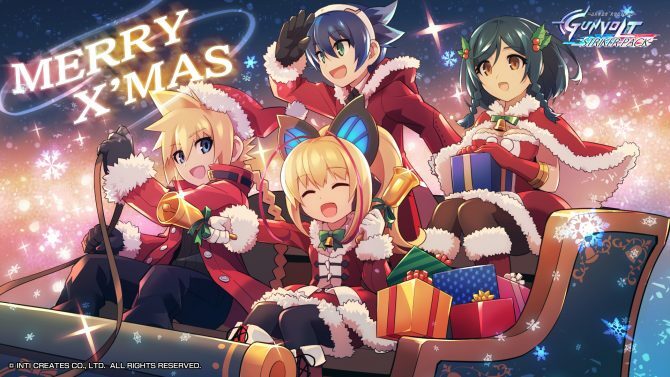 Azure Striker Gunvolt: Striker Pack reveals a special winter mode for players to play over the holiday.